There are several types of stainless steels. Ferritic stainless steel for example, has many characteristics and benefits which make it the right choice of material for certain industry segments. What is Ferritic Stainless Steel? Ferritic stainless steels contain of a high chromium content with low carbon content and in most cases very little nickel content. These grades of stainless steel have a microstructure, that is very similar to both carbon and low alloy steels which makes ferritic stainless steel magnetic. This is a major difference from the non-magnetic austenitic stainless steels. Another characteristic of ferritic stainless steel is the high resistance to stress corrosion cracking. They also have good ductility and they are usable in very aggressive conditions. 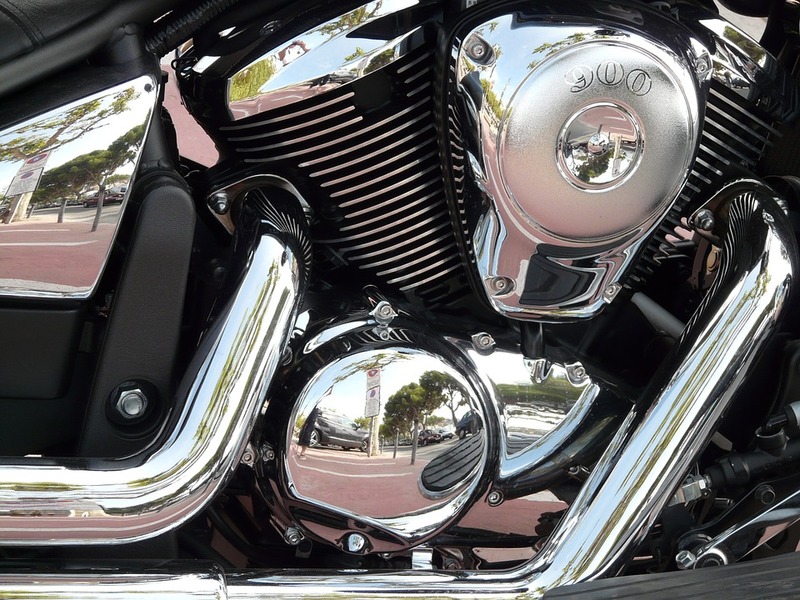 The most common uses of ferritic stainless steel is in the automotive industry for things like tail pipes and exhaust systems. Ferritic stainless steel is not hardenable by heat treatment and some grades may crack in the heat-affected weld zone. This means the welding of ferritic stainless steel is only possible with thin sections. However, you can find these grades in a wide range of applications, even without welding. Ferritic stainless steel can also provide you with cost savings for your project. Because these grades have a low chromium and very low nickel content, they are generally less expensive than other stainless steel types. There are two main types of ferritic grades available in stainless steel structural profiles. They are types 409 and 410S. These two types can be laser welded, so Stainless Structurals can produce any of our common structural shapes as well as special shapes in these alloys through our laser fusion method. As laser fusion does not need any filler material and the process involves joining parent material to parent material, the ferritic stainless steel profiles will have the same mechanical properties and chemical composition of type 409 or 410S plates. Laser fusion allows us to produce profiles in these ferritic stainless steel grades in sections such as beams, channels, angles, tees and custom shapes. Grade 409 is a stabilized ferritic stainless steel. That means, titanium and chromium stabilize it, with eleven percent chromium being the minimum amount in need for the passive surface that gives stainless steel its corrosion resistance. Applications are primarily of 409 stainless when oxidation and corrosion protection needs to exceed that of carbon steel. Grade 409 provides medium strength, good formability and weldability but it does not have a uniform surface appearance. For this reason, people generally use grade 409 for applications where surface finish is not critical like automotive exhaust systems. Other industries and applications of 409 stainless steel include power generation, furnaces and heat exchangers, and agricultural equipment. Grade 410S is a ferritic stainless steel that is a low carbon variation of ferritic type 410 stainless steel. Due to the lower level of carbon and the addition of titanium and/or columbium, this alloy minimizes austenite formation at higher temperatures. This also prevents hardening and prevents cracking when welding. You cannot harden 410S with heat treatment but you can weld it. This alloy also has good oxidation resistance. Some industries and applications that might use 410S include automotive exhaust components, oil and gas, petrochemical processing, thermal processing, mining equipment and machinery, and quenching racks. Ferritic stainless steel is not near as popular as austenitic stainless steel. Even duplex stainless steel is gaining in popularity while ferritic usage is relatively flat for industries other than automotive. There are several reasons why. One of the main reasons is that austenitic stainless steels are more corrosion resistant than ferritic stainless steels. This of course is one of the main advantages to using stainless steel in your design. Another reason is the ability to fabricate and work with the austenitic stainless steel alloys versus ferritic. Austenitic grades are much easier to fabricate, weld, heat, machine etc. There are also many more areas and industries where you can see austenitic steels more often than the ferritic counterparts. Ferritic stainless steel grades are also more sensitive to intergranular corrosion in the heat affected zones. This is why experts recommend only a handful of grades for welding. Ferritic steels also tend to fracture after being cut or machined to about halfway through their thickness. However, this is similar to carbon steels. Austenitic steels allow great penetration before a fracturing may occur. These unique properties of ferritic and austenitic are what make duplex stainless steel so unique. Duplex stainless steel is a combination of austenite and ferrite. Duplex offers a greater strength and mechanical properties while not sacrificing any corrosion resistance. This makes duplex stainless steel a great choice for marine or offshore environments or anywhere that requires added strength and corrosion resistance. The defining characteristics and benefits of duplex stainless steel are discussed here in our recent blog on the topic. Don not let material availability be an issue when your project may require the use of 409 or 410S ferritic stainless steel. We can assist you in these designs with our laser fusion production method and the ability to produce standard and special shapes in these alloys. We will explore every avenue available to us to help you make your design become a reality. For information on other alloys and finishes we can provide please click here. Our team is ready to assist so please Contact us today for your ferritic stainless steel requirement.